RALEIGH (WTVD) -- A fourth suspect was arrested late Friday night and charged in connection with an armed robbery earlier this week. Police said 21-year-old Jontel Dominique McNeill and three others used a firearm to hold up twin sisters and one of the sisters was shocked with a stun gun. It happened in a subdivision in the North Hills area of Raleigh Wednesday afternoon right after the girls got off a school bus. The victims were able to run to a nearby neighbor's home where they called 911. Neither was injured. McNeill has been charged with robbery with a dangerous weapon and conspiracy to commit robbery with a dangerous weapon. She is being held at the Wake County Detention Center. On Thursday, police arrested and took 16-year-old Jade Paulina Brown to the Wake County Detention Center. Brown is charged with robbery with a dangerous weapon and conspiracy to commit robbery with a dangerous weapon. Two more girls were also arrested Friday. Indago Laron Norwood (L), 18, and Chigoze Vivian Onyebuchi (R), 19, have been charged with robbery with a dangerous weapon and conspiracy to commit robbery with a dangerous weapon. 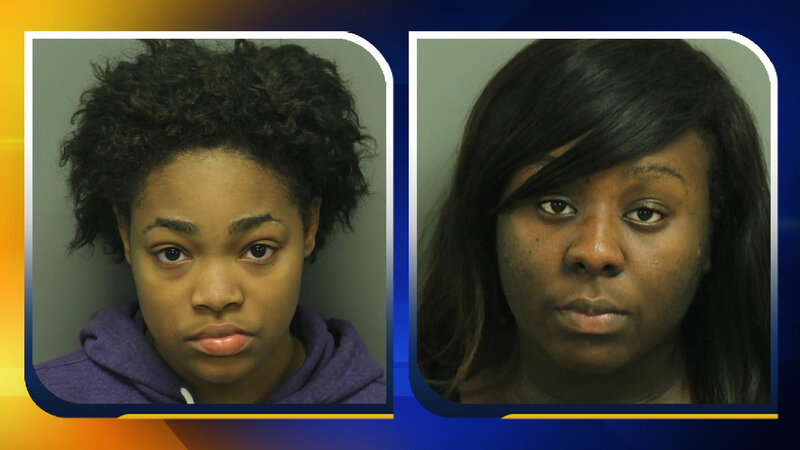 They are being held at the Wake County Detention Center. No additional suspects are being sought at this time.